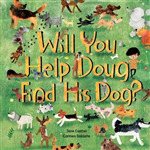 Help Doug find his dog by patting, tickling, and calling to the correct dogs based on Doug's clues! As the reader selects dogs, the pool narrows until a surprise ending reveals Doug's dog. When Mr. Betts's eight different pets develop spots, he takes them to the vet. Dr. Potts's medicine cures the spots-but gives them stripes instead! This hilarious rhyming story rollicks along from one problem to the next as Dr. Potts finally cures Mr. Betts's wacky collection of pets. 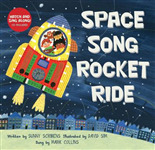 Innovative and inclusive, Children of the World empowers young readers to learn about children around the globe and ponder their own place in it. Go on a rhythmic romp through the Triassic, Jurassic and Cretaceous eras to meet the prehistoric creatures every child loves: dinosaurs! 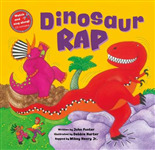 With colourful artwork and a funky fresh beat, Dinosaur Rap introduces children to paleontology, the relative sizes of dinosaur species and the abstract concept of time. Hans Christian Andersen's much-loved story of a tiny girl who is stolen from her home and the adventures she experiences as she tries to make her way back is beautifully retold in this exquisite new paperback edition. Artist, engineer, pacifist, inventor: Leonardo da Vinci was a genius of a very particular kind. This introduction to his life and work is vividly retold through the eyes of his young apprentice, Giacomo, making it easy for young readers to relate to his story. 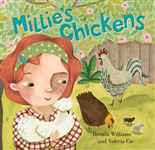 Look after the chickens that Millie keeps in her garden from day to night in this rhyming picture book, which is right on trend and packed with STEM-friendly science info.